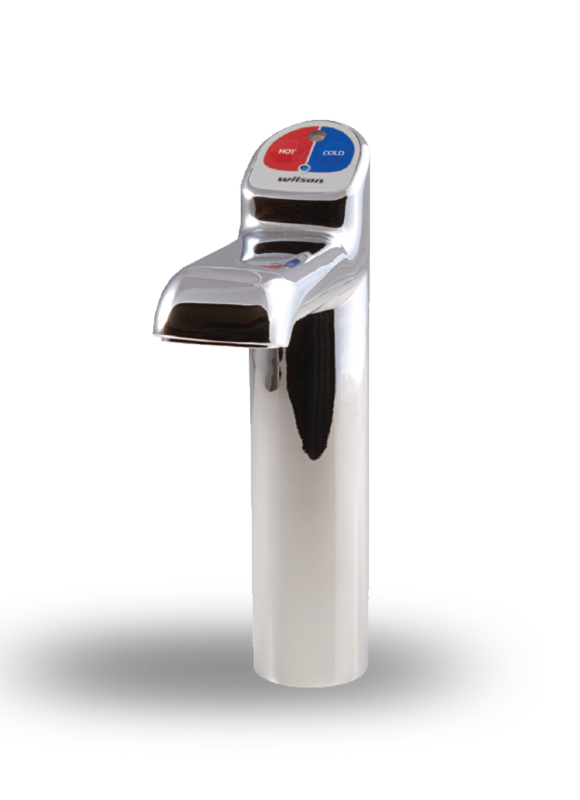 The Wilson Refresh is the all in one tap system that boils and chills and is the ideal appliance for filtered boiling and chilled water in the office or home. The Wilson Refresh has been designed for ease of use and developed incorporating robust and reliable technology that delivers durability with stylish design. Importantly, the Wilson Refresh is manufactured in Australia to Australian Standards. The Wilson Refresh is available in seven different combinations capable of delivering 90 and 120 cups of boiling water and a refreshing 65 or 125 glasses of chilled water per hour. of delivering 90 and 120 cups of boiling water and a refreshing 65 or 125 glasses of chilled water per hour. Being modular in design allows for flexibility in installation. The tap and boiling/chilled units are simple to install with flexible tubing and easy-connect fittings. Leak detection sensors are fitted with automatic shut off should a leak occur.